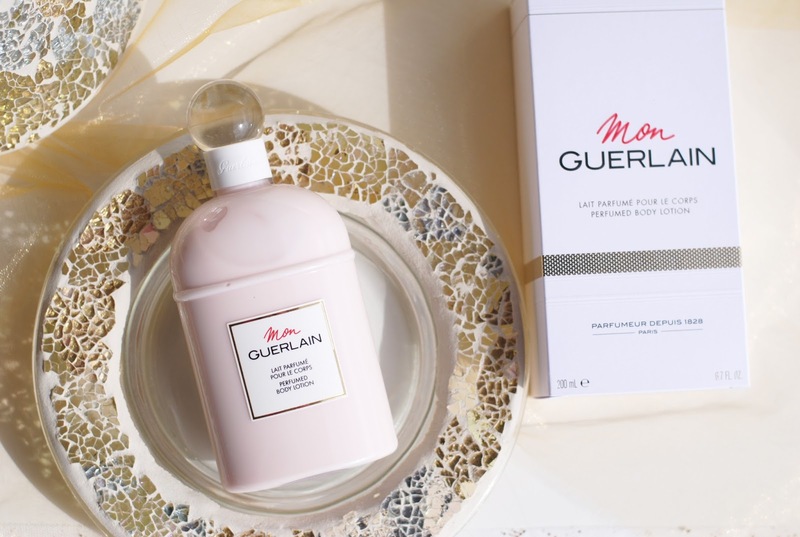 Having a little break also means catching up on some important releases, like the Mon Guerlain fragrance! 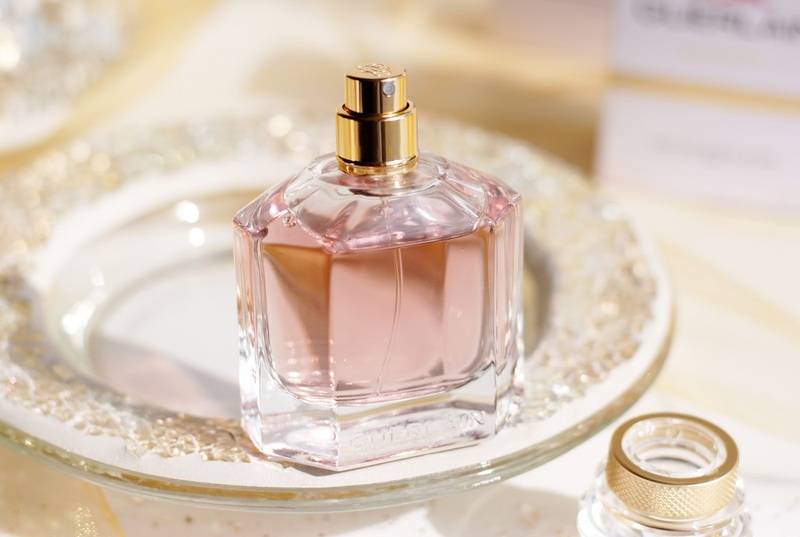 For those who already know -or maybe even own- this fragrance, see it as a refresher, because the floral version of this perfume is coming soon! 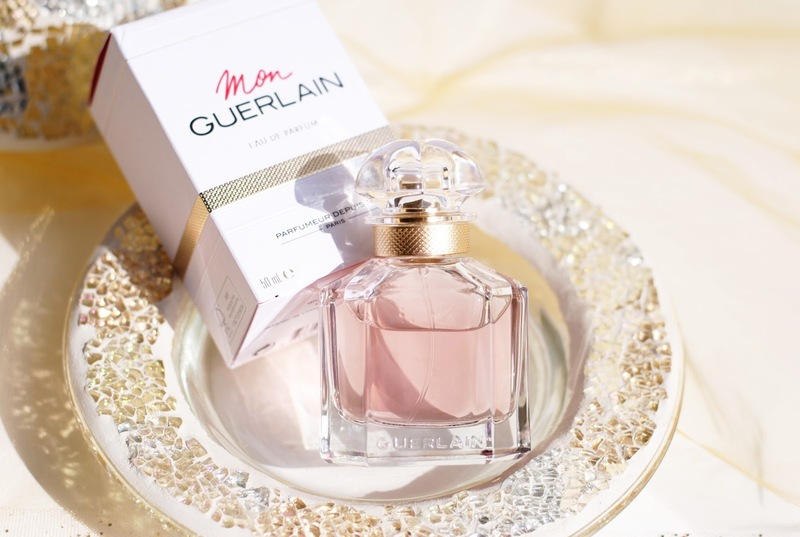 The box of the Mon Guerlain fragrance is simple, a white box with 'Mon Guerlain' and a gold printed ribbon, the same as the golden adornment on the bottle's neck. The bottle itself is also kept minimal. 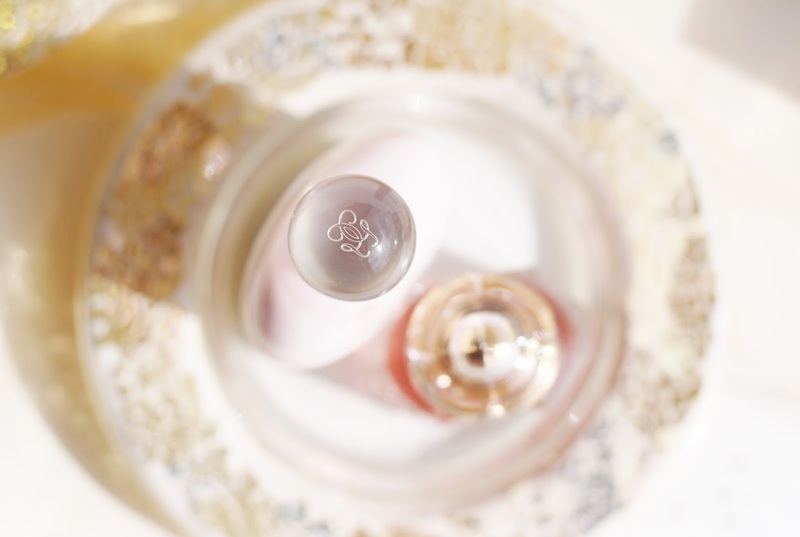 It's actually a design that dates back to 1908, the 'quadrilobe' bottle - named after the four lobes of the stopper. 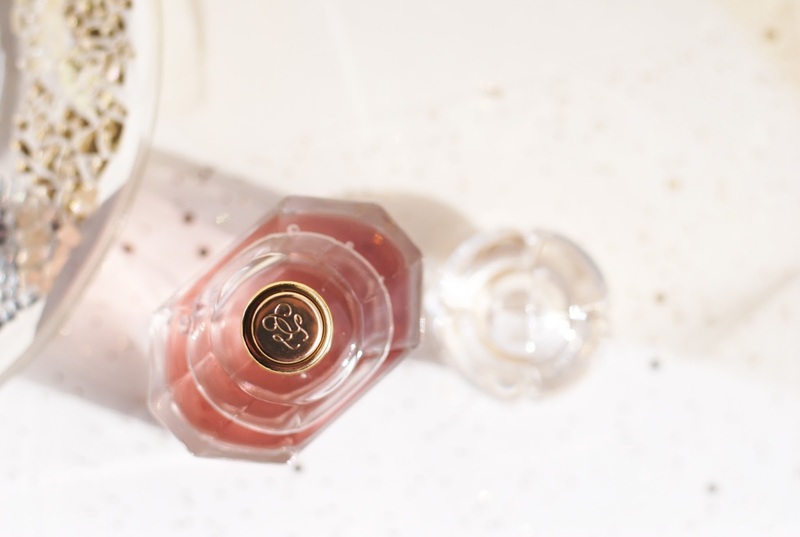 A minimal pink and gold bottle - how can I not love this? 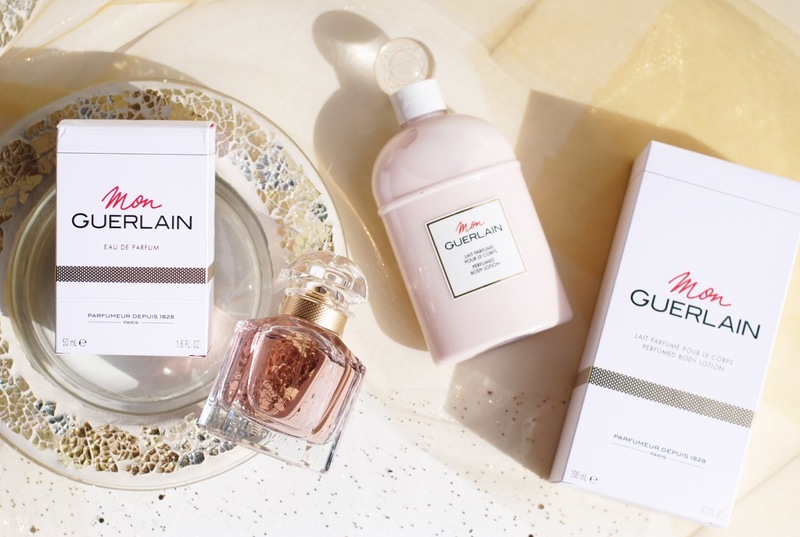 The fragrance opens with Tahitian vanilla, it's one of Guerlain's favorite raw materials and it's also used in Shalimar and Habit Rouge for example. 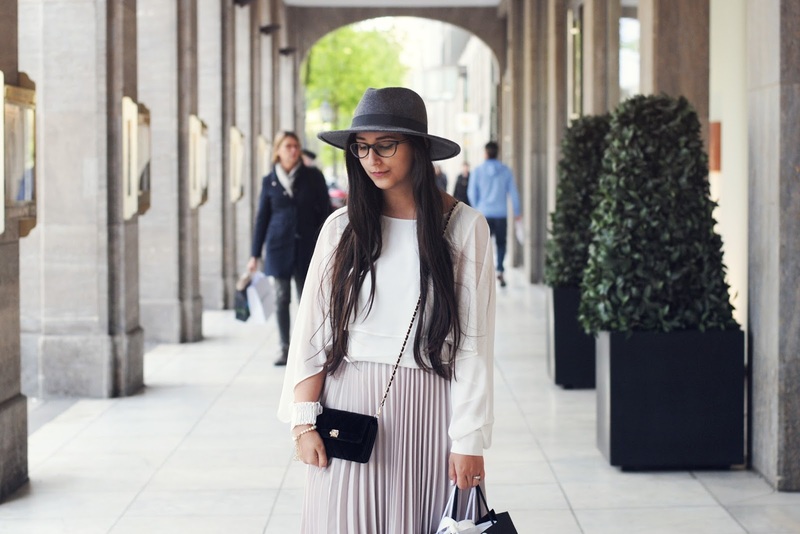 Carla lavender joins the vanilla - despite being present in a lot of masculine fragrances-, it's a very rare and special kind of lavender that only grows in the Provence. It's the combination of these two that makes the accord lift beyond the divide of masculine and feminine. 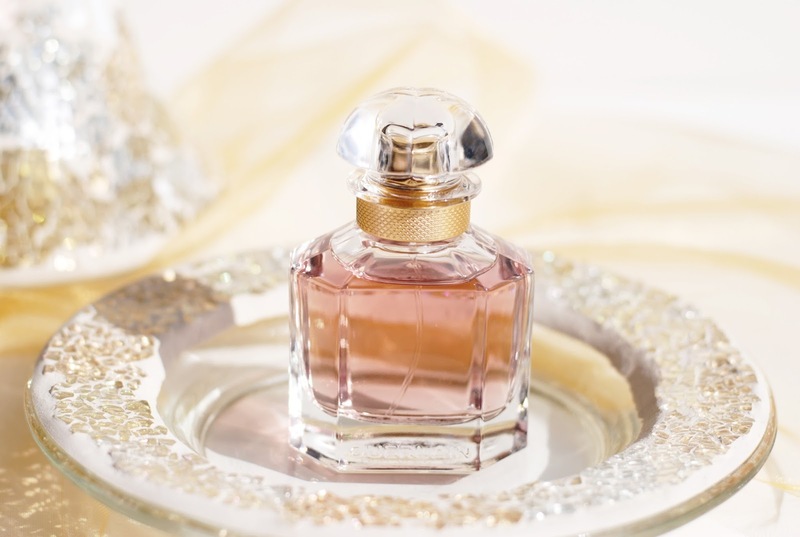 Sambac jasmine from India is the link that connects the lavender to the vanilla, while the base of Australian sandalwood adds a touch of mystery to the scent. 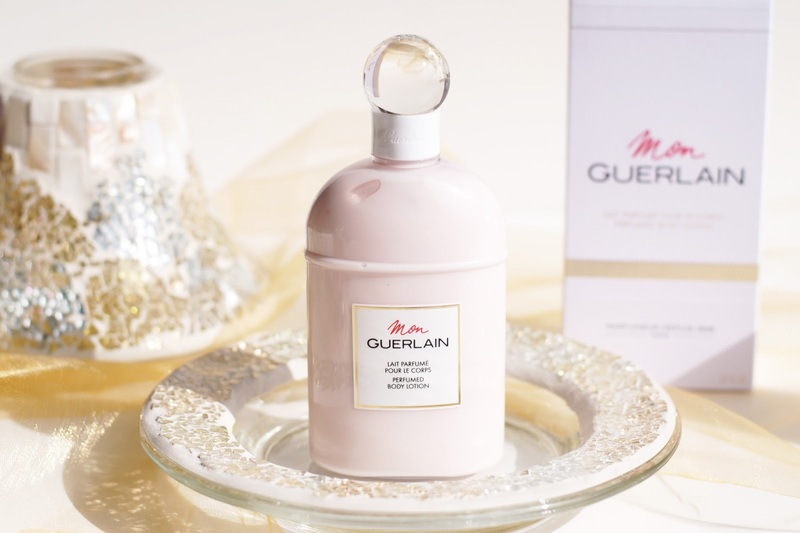 There also is a body lotion and a shower gel of the Mon Guerlain scent available. 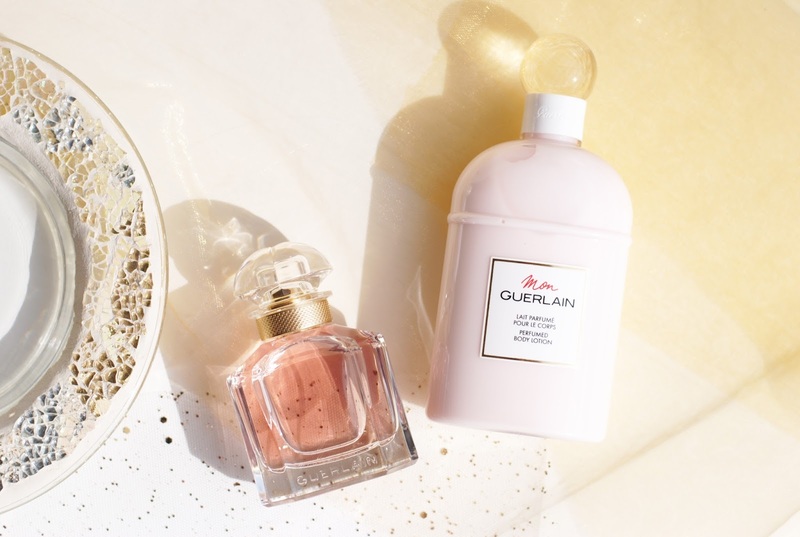 With the floral version in mind, these are perfect for layering scents. 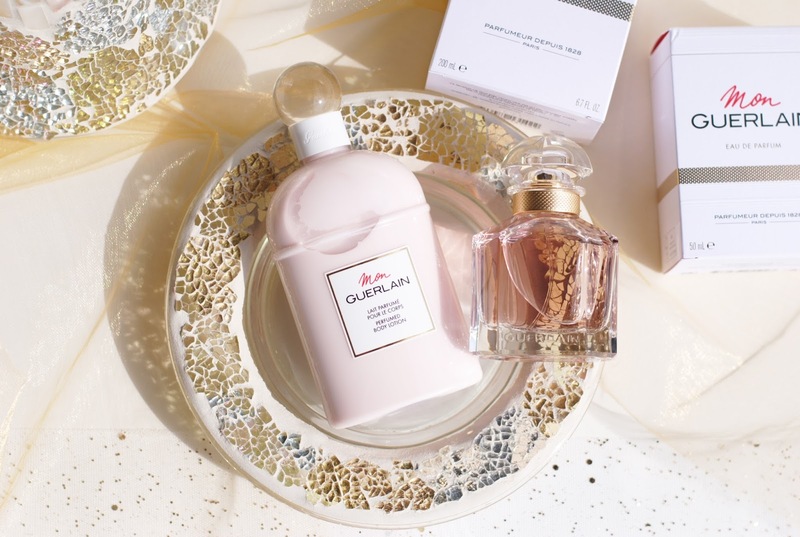 Use the body lotion of one of the fragrances and the eau de parfum of the other one: they have different notes, but the same base - so it perfectly matches! 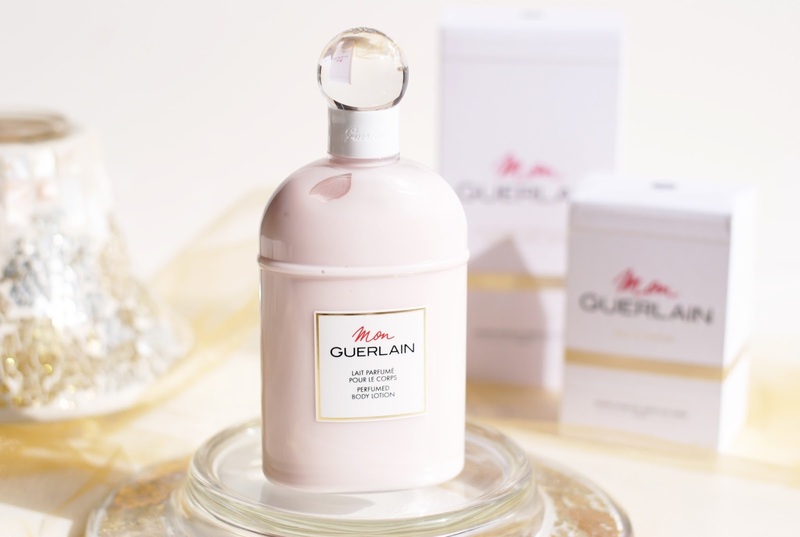 The body lotion really has the same richness and is as intense as the Mon Guerlain fragrance. That is something you don't often find in body lotions. Mostly they are a more flat reproduction of the scent, this one isn't. 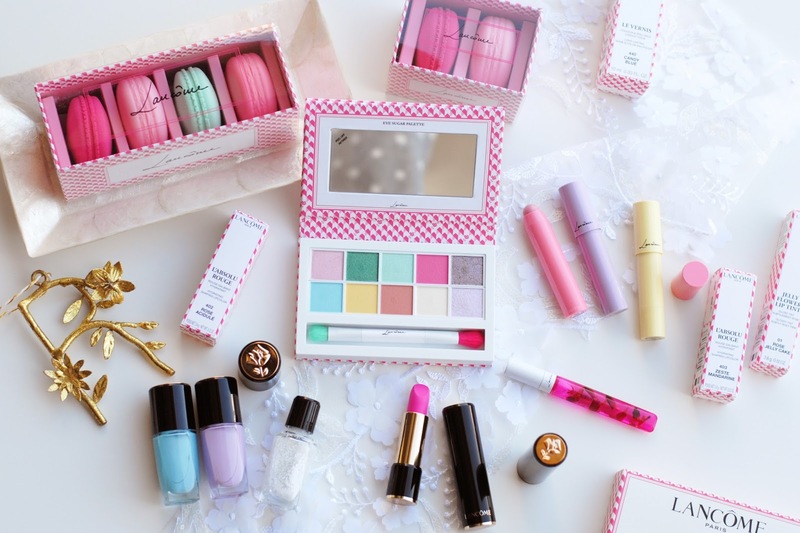 It has a light, fluid texture and smears out really well without leaving a greasy layer. 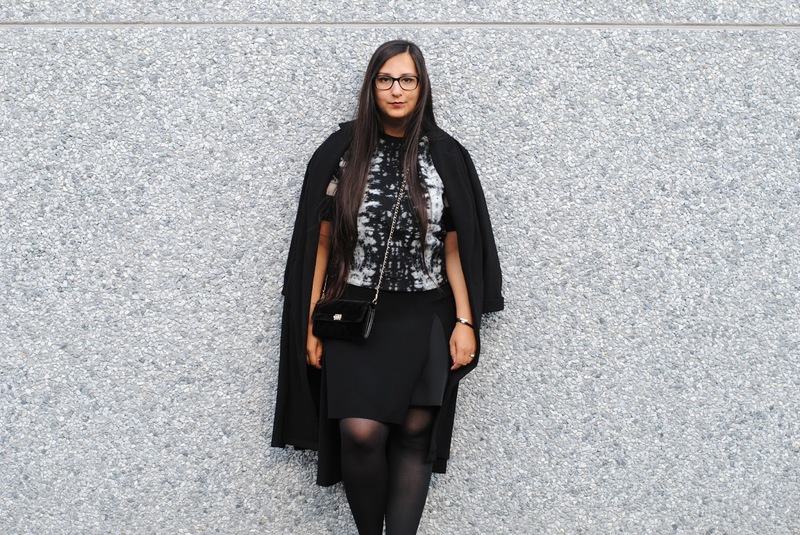 Et voila, a release that I really -still- needed to blog about. 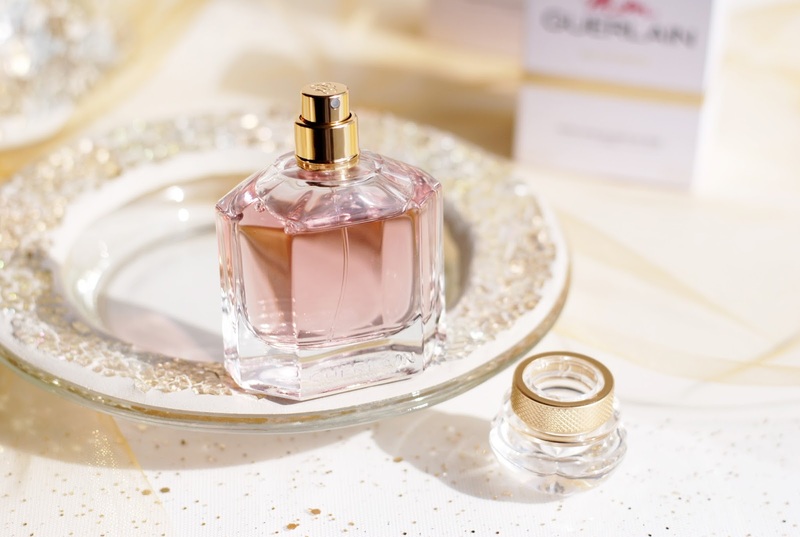 I think this is going to become one of Guerlain's classic fragrances, it's a very likable scent, rich but also suitable for younger women. 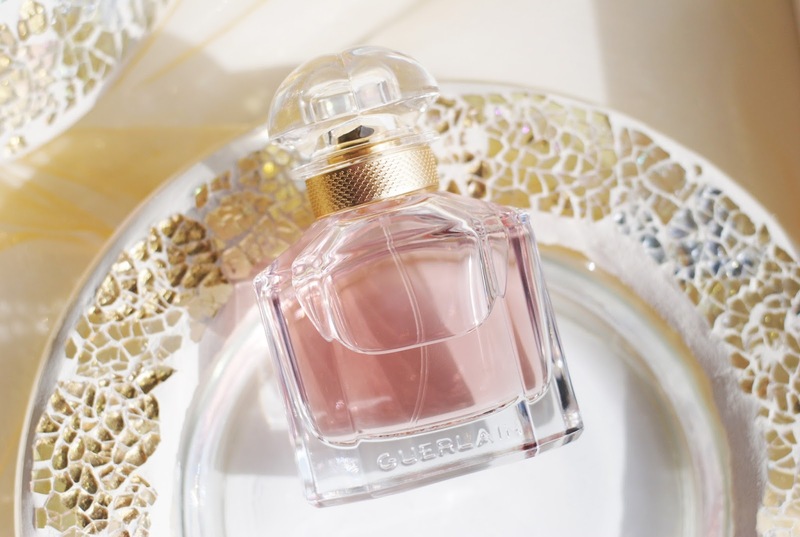 Once again your pictures look fantastic, you really captured what Guerlain was going for with this fragrance!